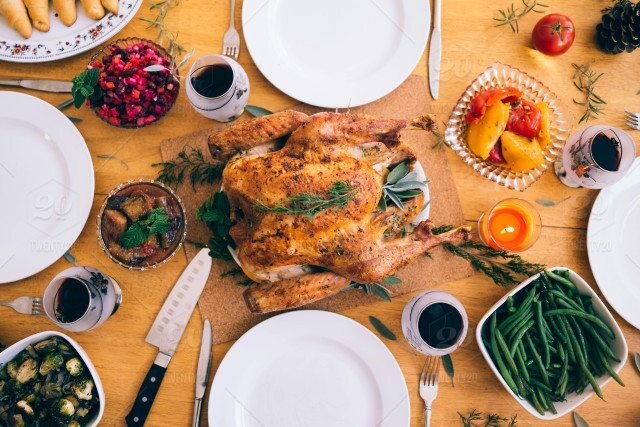 Thanksgiving in Your Kitchen: Is it Up to the Challenge? Thanksgiving is the perfect time of year to see what your kitchen is really made of. From the demanding menu to the pressures of hosting family and friends, you need everything to run smoothly. That starts with a kitchen that won’t let you down. Not only will your oven and stove be working over time, but every square inch of counter space will be used for preparing your meal, mixing your drinks, and making dessert. If you’re worried your kitchen needs help before Thanksgiving comes, feel free to check out these incredible kitchens that effortlessly combine style and function. Prepare in advance: Don’t leave all your dishes to the last minute. Even the turkey can be cooked the night before. Leaving it overnight adds to the flavour as it allows the meat to marinate. Make a signature cocktail: Creating a signature cocktail allows you to stretch your creative muscles. Use seasonal spices to create something entirely new or work off a traditional cocktail recipe. Don’t forget to make a virgin batch for the kids. Ask for help: If you’re in charge of the menu, it’s time to delegate the other tasks. Ask your partner or kids to help out, so that you can take a moment to enjoy yourself. Add seating: If your parties are like anyone else’s, your guests will like to converge in the kitchen. Make the place comfortable by installing some seating around the island or peninsula, making sure they don’t get in the way of your workstation. Pumpkin pie at Thanksgiving is well-loved tradition. No Thanksgiving meal is complete without it. That’s why we’ve included this easy-to-follow pumpkin pie recipe. Its rich, creamy filling is offset by a perfect golden crust that melts in your mouth and washes down just right with a hot cup of coffee. It’s a great way to end your Thanksgiving feast and the aroma alone is enough to make your mouth water. If you simply cannot eat another bite, the pie can be refrigerated for two to four days or frozen for up to eight months. Beat the eggs until smooth. Whisk in sugars, salt, and spices. Add whole can of pumpkin purée. Slowly stir in condensed milk. Add vanilla extract. Pour filling into pie crust. Even out mixture with spatula. Bake in preheated oven at 425℉ for 15 minutes. Reduce heat to 350℉ and continue baking for 35–45 minutes or until a knife inserted into the middle of the pie comes out clean. Let pie completely cool before serving. Garnish with whipped cream, if desired. Tip: to prevent the edges from browning further, cover the crust with foil. On behalf of everyone at Cuisines Nuenza, we wish you a very Happy Thanksgiving!